Federal drug regulators said Friday there was insufficient evidence to tie the flu drug Tamiflu to the deaths of 12 Japanese children or to hallucinations, encephalitis and other symptoms suffered by some Japanese patients. Food and Drug Administration staff said they don't think it's necessary to update the drug's labeling to reflect those deaths or possible adverse effects. 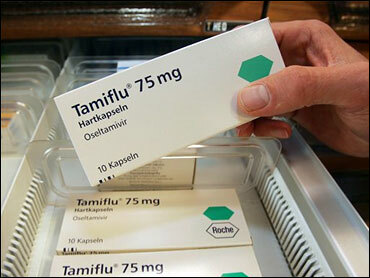 But the staff is recommending adding information to the label about serious skin reactions to Tamiflu. Unlike other ailments reported in patients who took Tamiflu, the skin reactions don't appear to be related to the influenza the patients were being treated for, officials said in papers prepared for a meeting Friday by an FDA advisory committee. "Clearly, any time you get a report of a death or a serious occurrence, you want to look into it," said Dr. Murray Lumpkin, deputy commissioner of the U.S. Food and Drug Administration, said prior to the meeting. The reports are being discussed as part of the annual pediatric safety review of Tamiflu and seven other drugs. The Japanese deaths were detailed in papers released before Friday's meeting. There are no reports of deaths in the United States or Europe associated with Tamiflu. The FDA sought and received more information from the Swiss pharmaceutical company Roche Holding AG, which makes Tamiflu, and from health authorities in Japan, where use of Tamiflu is more common than in the United States. The FDA has not yet issued any warnings or initiated any other action, spokeswoman Susan Bro said. "Based on the information we have right now, we cannot say definitively there is a causal relation between the drug and the children's death," Lumpkin said. An update by FDA staff also includes reports of 32 "neuropsychiatric events" associated with Tamiflu, all but one experienced by Japanese patients. Those cases included delirium, hallucinations, convulsions and encephalitis. Complicating the issue is that many of the Japanese death and adverse reaction reports list symptoms commonly associated with the flu, Lumpkin said.